You have an excited teen that is ready to get behind the seat of their first car. However, you are reluctant to hand over the keys, and you may have good reason to hesitate. Teens fall victim to vehicular accidents year after year, and hundreds of teens are killed each year in the U.S due to auto accidents. Here are 5 shocking facts about teen driver car accidents. The safety of teen drivers on the road is an issue that warrants attention. According to the Centers for Disease and Control Prevention (CDC), in 2016, 2,433 teens in the U.S. ages 16–19 were killed, while 292,742 received treatment in emergency departments for injuries sustained in motor vehicle crashes. These staggering numbers reveal that six teens in that age range died every single day, which amounts to 6.5% of U.S. teens in the 16-19 age group. Teen driver accidents are also costly when it comes to healthcare, and the CDC further emphasize that these accidents accounted for roughly $13.6 billion (8.4%) of the entire costs of motor vehicle injuries. Teens have been shown to be far less likely to use seat belts than drivers in any other age group. According to one report, in 2016, seat belt use among fatally injured passenger vehicle drivers age 16 (50%), 17 (52%), and 18 (52%) was higher than among fatally injured drivers age 19 (41%). It is also found that intoxicated teens often fail to wear their seat belts. Furthermore, in that same year, according to the National Center for Statistics and Analysis (NHTSA), 58% of drivers aged 15 to 20 who were killed in motor vehicle crashes while drinking and driving were not wearing a seatbelt. A teen is likely to crash during the first year as a driver on the roadways. 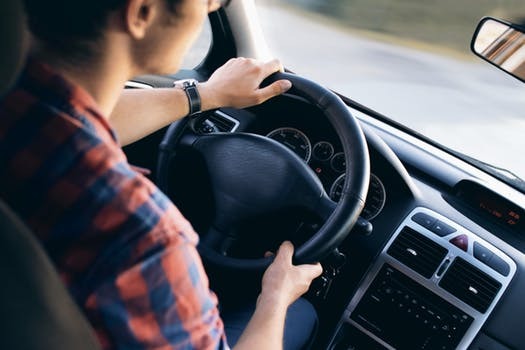 Based on a study by the National Institutes of Health (NIH), teenage drivers are eight times more likely to be involved in a collision or near miss during the first three months after getting a driver’s license, compared to the previous three months on a learner’s permit. In 2016, there were 2,288 motor vehicle traffic fatalities in crashes that involved passenger vehicle teen drivers aged 15 to 18 years old, with 10% of fatal crashes resulting from some sort of distraction according to the NHTSA. The CDC’s statistics have indicated that 16-19-year-olds have a higher risk of being in a motor vehicle crash-3 times more likely- compared to any other age group. Breaking it down, male teens between 16 and 19 have a higher risk for motor vehicle crashes than their female counterparts; and other teens that have a high risk for motor vehicle crashes include teens driving with teen occupants and newly licensed teens. Teen drivers have a tendency and are far more likely to ignore warning signs or not recognize road hazards, underestimate the danger of certain situations, and also make critical decision errors that lead to car accidents. According to the CDC, teens drivers are more likely than older drivers to speed and allow shorter headways; they have among the lowest rates of seat belt use and have a great risk of crashing while alcohol impaired. All parents want to know that their teens are safe when they are on the roadways. Despite the alarming number of crashes and fatalities, you should continue to encourage your teen(s) to cultivate safe habits that will ensure not only their safety, but that of others when they are driving.